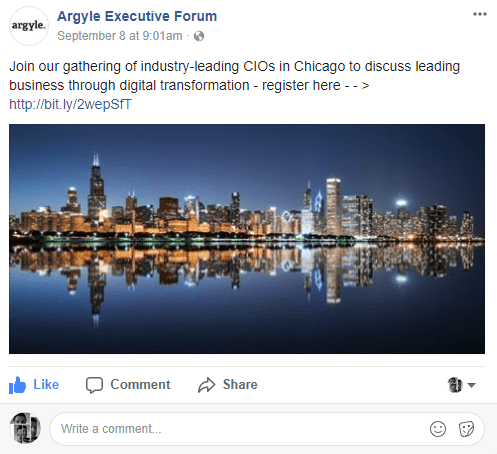 “Argyle Executive Forum is bringing together senior digital & IT executives from a variety of industry verticals for our biannual CIO Chicago Forum. Throughout a full day of content and networking, we will focus on the most pressing issues facing IT executives with regards to leading the business through digital transformation, with an agenda geared specifically towards Chief Information officers, Chief Data Officers, Chief Digital Officers, as well as Data/ Analytics/MIS VPs, Directors, and Architects in a leading role. Leading the Business Through Digital Transformation – Argyle. First, thanks to the team at Argyle for what turned out to be a timely and insightful conference on DX, Digital Transformation. Nokia was one of the Executive Forum’s sponsors as a Senior Supporter. It is worth noticing that this event featured partners who we work with such as HP Enterprise, Thought Leader Sponsor, and IBM, Breakout Session Sponsor. That talks to the criticality of collaborative undertakings as Digital Transformation becomes a pressing objective across industries, academia, public service and government sectors. What follows is my notes and personal insights. While all the sessions and discussions were quite relevant, I would like to highlight the opening keynote, which set the tone and narrative of the event. James P. MacLennan, SVP & CIO at IDEX, discussed “The Five Components of a Great Digital Strategy,” which addressed the fact that “Design Thinking”, “Human Factors” and a collaborative culture involving interdisciplinary workstyles and “Great Teams” have become of the essence. Moreover, he stated that “a Digital Business” will only succeed when it understands hot to connect with people.” The “human element” and, therefore, “people centered” strategies turn out to be critical success factors. I would like to add that this entails engineering a continuum of (a) stakeholders, who are all human personas by definition, and to do so across (b) UX (user experience) and CX (customer experience) domains. This job takes (c) a holistic understanding of customer facing (front end) and resource facing (back end) elements forming a coherent end-to-end system. Otherwise, operational fragmentation will take a toll and will deny the intended DX benefits. James’ presentation displayed the convoluted UI (user interface) shown in this picture to illustrate the paradox of well intended yet counterproductive implementations that negate transformation initiatives. Here is another valuable insight coming out of Argyle’s Executive Forum: information technologies (IT) and tech and processes for operations cannot longer be worlds apart, which demands superb cross-functional teamwork. Cognitive overload, deficient information architecture, and poor usability translates into: human error, risk aversion, costly budget overruns, missing or deviating from goals, so on and so forth. Any and all of these issues combined can be silently impacting quality or, simply, just lowering the bar for a business to get through noisy and cluttered operational environments. That is hardly the stuff that operational excellence calls for. Obviously, in the context of CX, customer satisfaction becomes harder and harder to attain and, more specifically, to get that effectively done in a consistent fashion. Predictability and consistency are key objectives for any Quality Management program. If that scenario alone wasn’t troublesome enough, Customer Delight (rather than just satisfying agreed upon requirements) is Design Thinking’s ultimate performance indicator, which commands a premium clearly beyond reach under those circumstances. Quality management wise, “satisfaction” is the fulfilment of expected specifications while “delight” is about great pleasure, or great satisfaction if you will. “Satisfaction” can be rationalized and is the acceptance ticket to be in business. “Delight” accounts for human affects (emotions) and is a powerful source of differentiation. Those who think that’s just about splitting hairs should take a pause and think twice because DX is set to enable game changing experiences on all counts and fronts. Thru the forum and session after session, Jim’s “Design for Humans” principle gained more and more critical mass as presenters and panelists discussed the reasons why we should be mindful of the user journey and how to best improve all touch points along the way. In one of the panel discussions this became even more evident when the question on aligning people, processes and technologies pointed to difficult prioritization exercises. Note that there was immediate consensus on the need for putting people first and humanizing technology and processes by applying Design Thinking, a human centered methodology that is corner stone to the job of creative technologists. That means projects that are driven by clear missions and specific experiential outcomes and lifecycles (Goal Directed Design) rather than just an I/O approach. It also means rapid experience prototyping and A/B multivariate testing to explore possibilities since Design Thinking is a serial innovation engine. Let’s connect some more dots. By the way, TED’s acronym actually stands for the convergence of Technology, Entertainment and… Design. Interview with Tony Fadell, one of the main designers of the iPod (Apple) and founder of Nest (Google). Interview with Joe Gebbia, Airbnb cofounder. Is OpenStack Enough to Support NFV? “Juno Preview for OpenStack Compute (Nova)” by Russell Bryant, reposted on Red Hat Stack. Left: with CloudBand’s Guy Shemesh at Alcatel-Lucent’s Tech Symposium’s demo station. Right: Bell Labs “Networked Cloud” demonstration presented at Tech Symposium – Silicon Valley. I just finished listening to Red Hat’s Nicolas Lemieux and CloudBand’s Idan Green who delivered a 30 minute webinar on OpenStack for NFV. This is worth watching. Here is the link to CloudBand’s NFV Mashup Series, which is hosted by Valerie Noto. On that webpage you will find this and 9 other presentations at the time of posting this article. 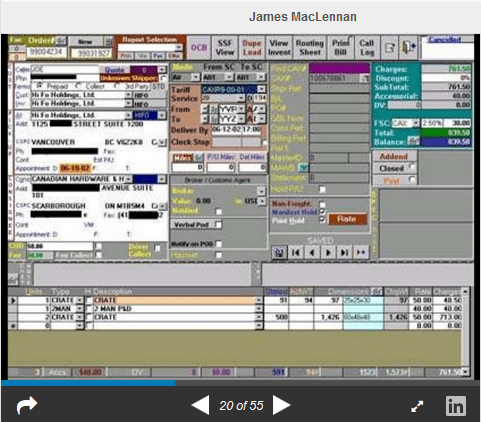 Today’s webinar reminded me of a Bell Labs project that we unveiled at Mobile World Congress in 2012 and further developed for Alcatel-Lucent’s Tech Symposium Silicon Valley. Bell Labs’ “Networked Cloud” PoC (Proof of Concept) helped illustrate benefits behind distributed “cloud-and-network” systems while taking full advantage of CloudBand’s management system and cloud nodes. I ended up conducting quite a few demonstrations of this project for network operators, industry and financial analysts because predictive analytics fueled with smart algorithms cleverly figured out where to best place a given load anytime. This exercise factored both cloud nodes and network capacity, resource optimization practices, and the actual application requirements and load impact, coupled with deterministic behaviors subject to SLA (Service Level Agreements). There were several use cases worth considering. Demonstration wise, it made sense to first focus our conversation on the one that could be best visualized and experienced. As an example, sudden demand growth led to the automatic spinning of VM (Virtual Machines), onboarding the right applications, instantiating and deploying a given service (enterprise productivity and collaboration applications for that one demo), and scaling in the process. This scenario’s narrative talked to taking down silos and gaining visibility to improve both server utilization levels and network capacity, all under a centralized management system such as CloudBand. This assumed dramatically shorter lead times, more efficient power consumption and subsequent higher ROA (Return on Assets). Though, the wow factor was delivered by operating under QoS (Quality of Service) parameters, such as latency constrains with a SLA in place, being the result of intelligently placing loads at the edge of the network, closer to the end user for performance sake. Concepts such as monitoring, data correlation, predictive analytics and service continuity would come to the surface under a second use case. Worth emphasizing that both use cases take advantage of the distributed nature of the networked cloud paradigm, which the above map (right screen) helped visualize as the demo progressed. This second use case showed what specific node-and-link combination would be best performing at the time of re-instantiating an application. The objective was to prevent service degradation when network traffic worsens for any reason. There were A/B comparison scenarios facing the same issues, such as a network link being compromised. “A” showed the known behavior of a conventional architecture where the user experience would either be negatively impacted or, alternatively, addressed by means of costly and lengthy over engineering and, therefore, extremely poor and self-defeating ROA. “B” presented the benefits of distributed systems under the “networked cloud” paradigm, where performance was sustained in an unparalleled cost efficient fashion with loads dynamically placed and relocated as needed; all being back-end stuff that is completely transparent to the end user. More recently, our EPC (Evolved Packet Core) team conducted a similar NFV demonstration at Mobile World Congress 2014 where the end user’s mobile experience featured video streaming instead. NFV’s distributed architecture is key to also managing not just service continuity and self-healing, but also: resource isolation in multi-tenant environments, security, RAS (Reliability, Availability and Serviceability) and overall service delivery and lifecycle assurance under SLA. Some other use cases are related to regulatory compliance, which can involve: lawful intercept, local data protection mandates, as well as regional coverage requirements and engineering for no-single-point-of-failure. Source: courtesy of Alcatel-Lucent and Red Hat. CloudBand’s NFV Mashup Series #10. FOSS (Free Open Source Software) is becoming a de-facto standard in the telecommunications industry. Some years ago, my team used Euclyptus to deploy and manage cloud computing infrastructure. We needed to create a number of virtual machines and that initiative helped with working on a hybrid AWS-compatible (Amazon Web Services) environment. When projects became more focused on communication networks we then took advantage of CloudStack, which is also positioned as turnkey IaaS (Infrastructure as a Service). Here is a link to a presentation discussing CloudStack in the context of NFV. More recently, OpenStack has made significant inroads in this nascent space and is part of trials for virtual: CPE (Customer Premises Equipment), CDN (Content Delivery Network), DNS (Domain Name System), AAA (Authentication, Authorization, Accounting), SBC (Session Border Controller), EPC (Evolved Packet Core), and IMS (IP Multimedia Subsystem). In many cases NFV’s MANO (Management and Orchestration) interfaces directly with OpenStack and in some others that is the application’s EMS (Element Management System, or virtual equivalent) job, depending on the workflow. So, is OpenStack enough to support NFV? I addressed Bell Lab’s “Networked Cloud” research demo as an example where “OpenStack-as-is” does not happen to be yet equipped to address NFV’s own challenges. To be more specific, we are talking about those presented by distributed carrier cloud systems, sophisticated networking, more complex transactions, CPU intensive packet processing and high availability in multi-tenant environments. Table source: OpenStack NFV Use Cases. Note that Red Hat is also addressing KVM (Kernel Based Virtual Machine) as the open source hypervisor, which creates and runs the VMs; supports libvirt for node management APIs beyond what’s provided by hypervisors; and works with DPDK, Intel’s Data Plane Development Kit with the drivers to accelerate packet processing on x86 platforms. What follows is the architecture of our integrated joint solution aiming to bring together the best of carrier and IT (Information Technologies) worlds with NFV in mind. This also takes SDN (Software Defined Networking) into consideration. Picture source: courtesy of Alcatel-Lucent and Red Hat. See CloudBand’s NFV Mashup Series #10. Speaking at Software Telco Congress: the NFV & SDN Event. I am glad to share that I will be presenting as well as joining a panel discussion at Software Telco Congress. I picked the below two topics because the more we talk about operations and making things happen in the context of NFV (Network Functions Virtualization) the more making the business case as well as understanding behavioral economics happen to be of the essence. When working on emerging technologies, technological prowess alone might not move the needle close enough to the tipping point. The fact is that “brain-ware” and organizational dynamics can be overlooked and, in turn, become harder to address than just figuring out and debating hardware and software roadmaps. Presentation: The Impact of NFV on Service Provider Economics. Panel discussion: Making the Transition to Software – Are We Ready? Looking forward to seeing you at Software Telco Congress, collocated with IT EXPO, which is promoted as the “business technology” event.